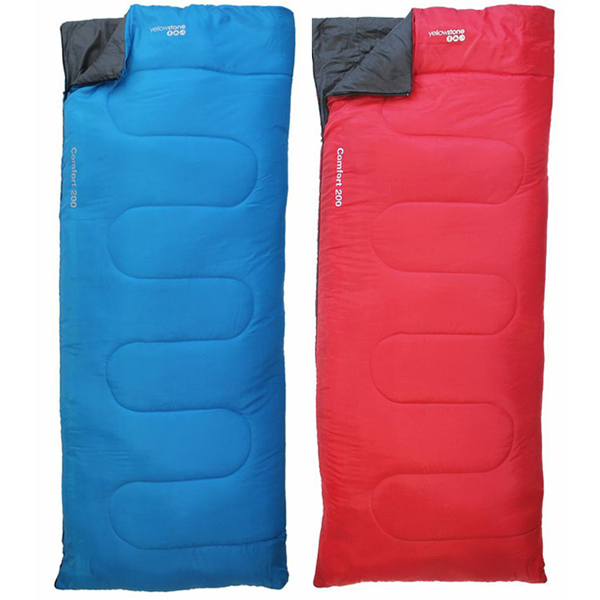 Excellent quality sleeping bag from Yellowstone. Comes in your choice of aqua blue or red outer with a dark grey/ black interior. Designed for 1 season with a temperature range from extreme -1 to a comfort +14 degrees Celcius. 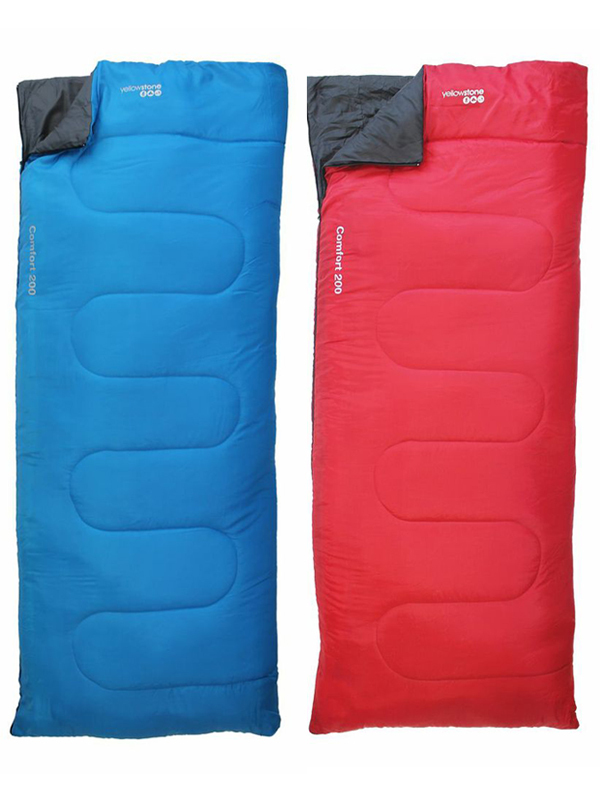 This lightweight sleeping bag weighs less than 1kg, and features a water repellant outer shell and hollow fibre insultation for warmth. Also features an internal security pocket to store valuable items in whilst sleeping. Dimensions (cm): 190 x 140. 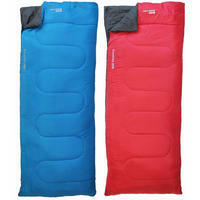 Excellent quality sleeping bag from Yellowstone. Comes in an aqua blue outer with a dark grey/ black interior. 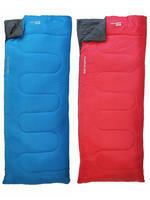 Designed for 1 UK seasonsand a temperature range of extreme -1 to +14 degrees Celsius.